This illustration was created from a photo of the goalie using an iPad pro and Adobe Sketch. The sketch was exported to the desktop version of Adobe Illustrator and then finished in Adobe Photoshop. 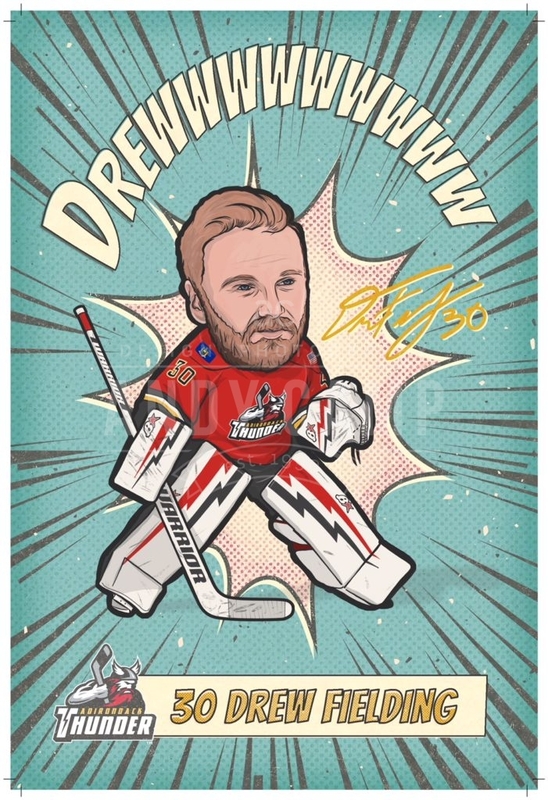 It was produced in 2018 for the Adirondack Thunder Hockey team and printed and given away during a game.